Order your copy on Amazon.com today! A story of passion, prejudice, and romance set against the tragedy of war, SOUTH PACIFIC has reigned as one of the all-time great American musicals—taking on huge social issues of its day, foreshadowing the battles over civil rights and human dignity that were to rage in this country in the decades to follow. THE SOUTH PACIFIC COMPANION by Laurence Maslon, is the first authorized companion to its many memorable productions that span seven decades, from the original Broadway production in 1949 to the current musicals first return to Broadway. It promises to spark many enchanted evenings. The book details the historical background of the battles and islands of the South Pacific through World War II and the unique translation of that "Theater of War" into one of the most memorable productions in American musical history. 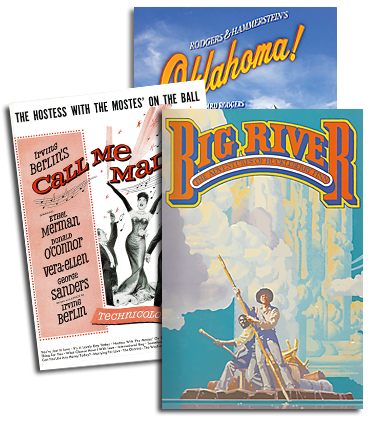 Sanctioned by The Rodgers & Hammerstein Organization, THE SOUTH PACIFIC COMPANION includes story boards, complete lyrics to all the major songs, rare photos and never-before-seen archival material, maps of the show's locations, historical documents, and other insider information. Each incarnation from the original Broadway show, to the hit movie starring Mitzi Gaynor, several theatre productions and a TV remake with Glenn Close, as well as the current Broadway revival featuring Kelli OHara are detailed in this book. Laurence Maslon is an associate arts professor at New York University's Tisch School of the Arts. He is the author of THE SOUND OF MUSIC Companion and the co-author of Broadway: The American Musical, and wrote the American Masters documentary on Richard Rodgers. He resides in New York. For more information on THE SOUTH PACIFIC COMPANION, please visit www.simonsays.com.